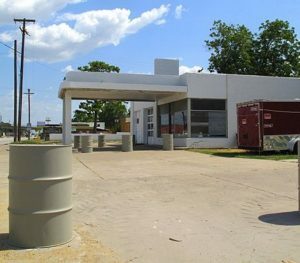 Today I read an insightful blog post by Amy Alduino about TRC’s experience in assisting communities submitting applications in Round 1 of the Ohio Abandoned Gas Station Cleanup Grant Program. By way of brief background, the grant program offers grants of up to $100,000 for environmental assessment activities and up to $500,000 for cleanup activities for properties with documented petroleum UST releases. Eligibility is limited to properties that have been designated “Class C” by the Ohio Bureau of Underground Storage Tank Regulations (BUSTR). In a nutshell, Class C releases are those for which there are no legally-responsible parties with adequate financial resources for cleanup. The General Assembly has earmarked a total of $20 million for the grant program. The application process is open to political subdivisions only. In cases where the subject property is privately held, an access agreement between the political subdivisions and owner must be included with the application submittal. Grant funds are not available to parties that have caused or contributed to a release of petroleum or hazardous substances on the property. TRC estimates that applicants have a sixteen-month window to identify eligible properties and submit applications before the $20M grant pool is fully distributed. Application Round 1 closed on April 1, 2016. Five applications were received. Round 2 applications are due in July 2016. ODSA anticipates additional application rounds in April and July of 2017. Program eligibility is limited and nuanced. Amy discusses the various eligibility criteria in detail in her post. Based on TRC’s experience in the program to date, Amy believes that properties that meet the eligibility requirements have very good prospects for receiving funding. This is a great opportunity for eligible properties, but successful applicants will likely need to act quickly before funds run out. The initial step (after assessing eligibility) is to obtain a valid, Voluntary Action Program-complaint Phase I Site Assessment. Ohio EPA is offering Phase I assistance at no charge to political subdivisions and to private landowners who partner with political subdivisions. You can reach Amy Alduino directly at (513) 489-2255 or email her at aalduino@trcsolutions.com.